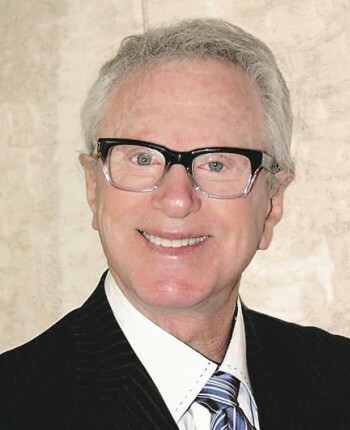 Named one of the Los Angeles Daily Journal's Top Neutrals in 2006 and 2009, Judge Burton S. Katz is a fulltime dispute resolution professional who has gained an excellent reputation for his settlement abilities. Described by his clients as "smart, focused, creative, engaging, nonthreatening, empathetic and firm when he needs to be," Judge Katz specializes in employment law, health care cases and real estate matters, but has also resolved multi-million dollar cases involving partnership dissolutions, fee disputes and a range of other complex disputes. Member of the Real Estate, Business and Employment sections of the Los Angeles County and the Beverly Hills Bar associations, as well as the Southern California Mediation Association. Adjunct professor, University of San Fernando College of Law. Lecturer, California Judicial College at Boalt Hall, Pepperdine University School of Law and the top litigation law firms. Has twice been the moderator for the National Forensic Center's Annual Conference of Distinguished Experts. Author of numerous published articles on the justice system and trial advocacy, as well as a book titled Justice Overruled (Time Warner). Business/contractual, employment law, health care, real estate, landlord/tenant, habitability, broker disputes, negligence, insurance, bad faith, entertainment, medical, malpractice, personal injury, labor & employment and civil rights issues. Judge Katz is adept at managing cases involving multiple massive documentation and highly technical issues. He has mediated and arbitrated numerous cases during the past 17 years, specializing in business contractual disputes, employment law, health care, landlord tenant improvements, negligence, real estate, broker/agency disclosure, and construction and construction defect claims. He has also had success resolving entertainment, employment and all areas of official misconduct, as well as dental and medical malpractice bad faith and insurance issues. An accomplished jurist and trial lawyer for more then 25 years, Judge Katz is respected for his knowledge and legal acumen. As a judge, judicial referee and arbitrator, he has conducted more than 1,000 trials, motions and hearings, handling lengthy high-profile and complex matters. He retired from the Los Angeles Superior Court, there after becoming a legal commentator. He hosted his own shows on MSNBC TV and KABC radio and appeared regularly on such programs as CNN's Crossfire, Court TV, Fox News, Today Show and Good Morning America. Judge Katz is an approved neutral on the Construction, Commercial/Complex and Labor panels for the AAA, as well as the Contractor's State License Board and the State Department of Insurance. Judge Katz is available throughout California.